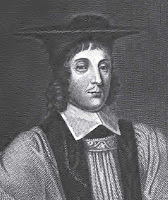 Anthony Sparrow was educated at Queens' College, Cambridge, later becoming a Fellow of the College, and was ordained to the priesthood in February 1635. A "moderate Catholic", he was ejected from the University in 1644 under the parliamentarian "purge". 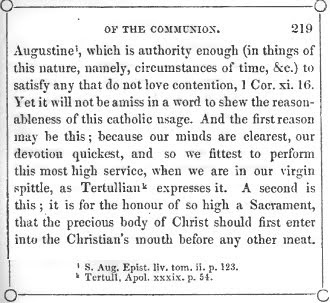 Then, in 1647 he was ejected from his rectory at Hawkedon for using the banned Book of Common Prayer. Following the Restoration, he was reinstated in 1660. In 1667 he became Bishop of Exeter and in 1676 he was translated to the See of Norwich. Sparrow seems to have been influential in the revision of The Book of Common Prayer (1661-1662). 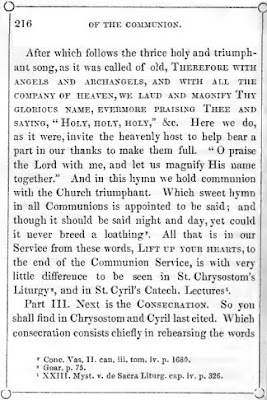 Today he is best remembered for his classic work A Rationale Upon the Book of Common Prayer of the Church of England, the oldest known edition of which dates from 1659. 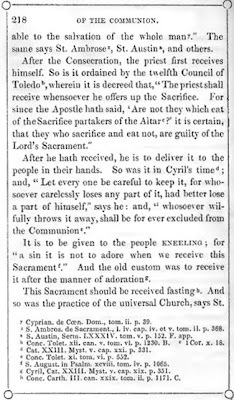 He clearly understands the Eucharist as the Church's pleading of Christ's sacrifice made once for all upon the Cross. 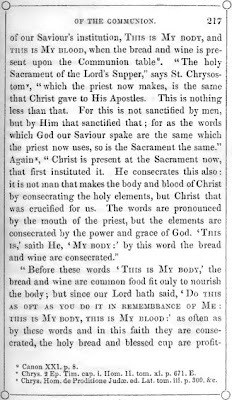 The portion of A Rationale given below, in which he demonstrates the Anglican habit of appeal to the early Fathers, is taken from the Parker edition, published in 1843 and edited by John Henry Newman. The book can be downloaded in its entirety HERE as a pdf document.